The Huskylock 936 has some very nice features and it has the high quality of a Viking sewing machine. 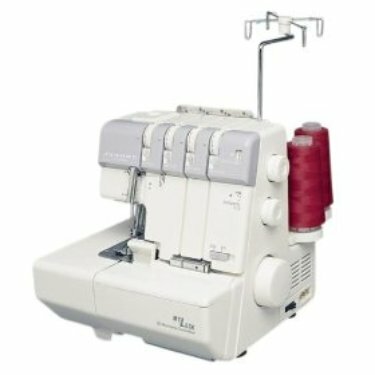 Most reviewers agree that the 936 serger is both easy to use and easy to maintain. And the Huskylock 936 is reasonably priced, as well. Better than basic, this Huskylock is able to sew, using 2, 3, 4 or 5 threads. Sewing with the Husqvarna serger is fast and easy, and the Huskylock 936 has a flexible, re-programmable memory that will save you time and energy. In addition, you are sure to be pleased with the professional finish of your projects. Up to 5 Threads – gives you a nice number of choices for different kinds of projects. Sewing Advisor – like having a sewing assistant sitting next to you. The Sewing Advisor automatically sets the best stitch length and differential feed for your project. It also recommends a thread tension and needle. Extra Presser Foot Lift – for use with extra thick fabrics. Easy to Thread – The Huskylock 936 has a color coded guide and easy lay in tensions for easy threading. It works nicely, especially if you use tweezers to pull the threads through. Re-programmable Memory – The Huskylock 936 serger comes with 16 pre-programmed stitches in its memory and you can also add up to 50 stitches of your own—more memory than most of us will need! 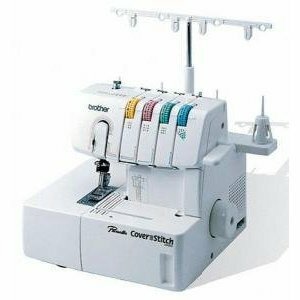 Cover Stitch – Not only does this overlock machine do a cover stitch, it also does double or triple cover stitch. To do the cover stitch, you do need to change the plate and foot. 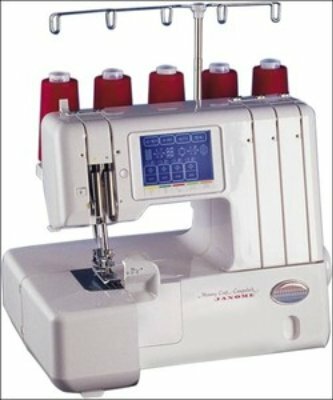 Built-in Needle Threader – always nice to have in any sewing machine! As you can see, the Huskylock 936 has some very nice features. 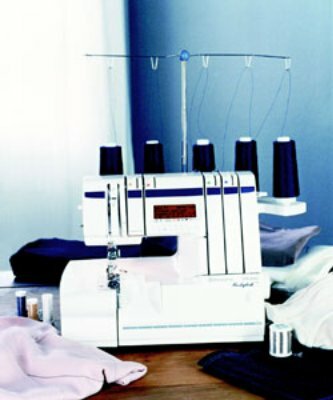 It is a quality serger and if it meets your needs, it just may be the best serger for you.